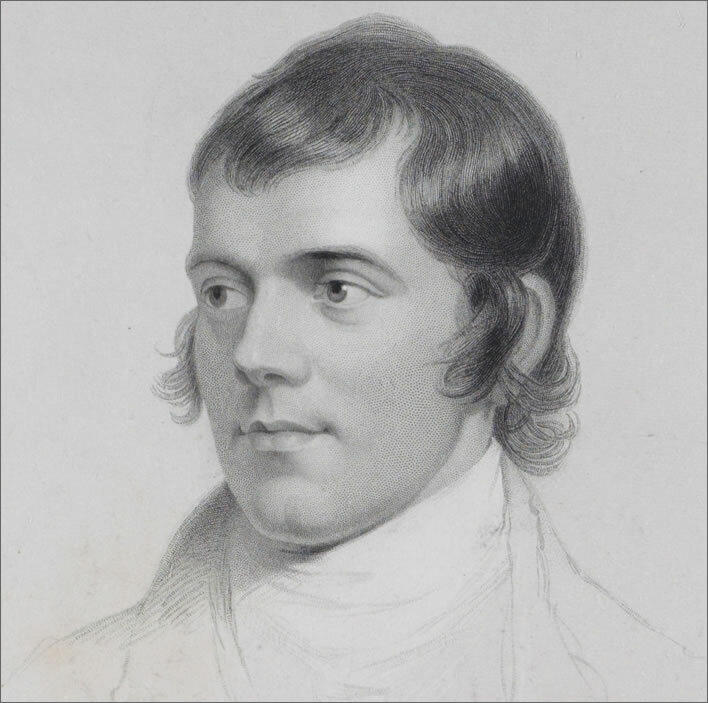 25 January is Burns Night, the birthday of the Scottish poet Robert Burns (1759-1796). Robert Burns by Alexander Nasmyth (1758-1840), 1787. Image: Scottish National Portrait Gallery. To mark it in the Swiss manner here is a translation into Swiss-German dialect of his 1783 song Wha is that at my bower-door? The translation given here is by the Swiss poet and artist August Corrodi (1826-1885). It was first published in 1870 in Lieder von Robert Burns. In das Schweizerdeutsche übertragen von August Corrodi. The many dialect forms of Swiss-German are oral languages. As a result there are many ways of transcribing the sounds of the dialect. The transcription here follows the text of the poem in Corrodi's Robert Burns Liedli published in 1940 by Rascher Verlag, Zürich. A modern speaker of Züritüütsch would probably write it quite differently. Wer böpperlet a der chammer a ? Nu ich bi's, seit de Heiri. Se pack di hei, was witt du da ? Nu öppis, seit de Heiri. Cha scho sy, seit de Heiri. O wha is it but Findlay! What mak' ye, sae like a thief? Indeed will I, quo' Findlay. Bis's taget, seit de Heiri. Gli wieder, seit de Heiri. Verstaht si, seit de Heiri. Corrodi, the son of a Protestant vicar in Zurich, at first followed the family tradition and studied theology for two years in Basel. He gave that up to study art in Munich for four years. During the next twelve years he painted and began a long series of his most successful works, illustrated children's books, not all of which he illustrated himself, though. He settled in Winterthur, a town with which he is now mainly associated. 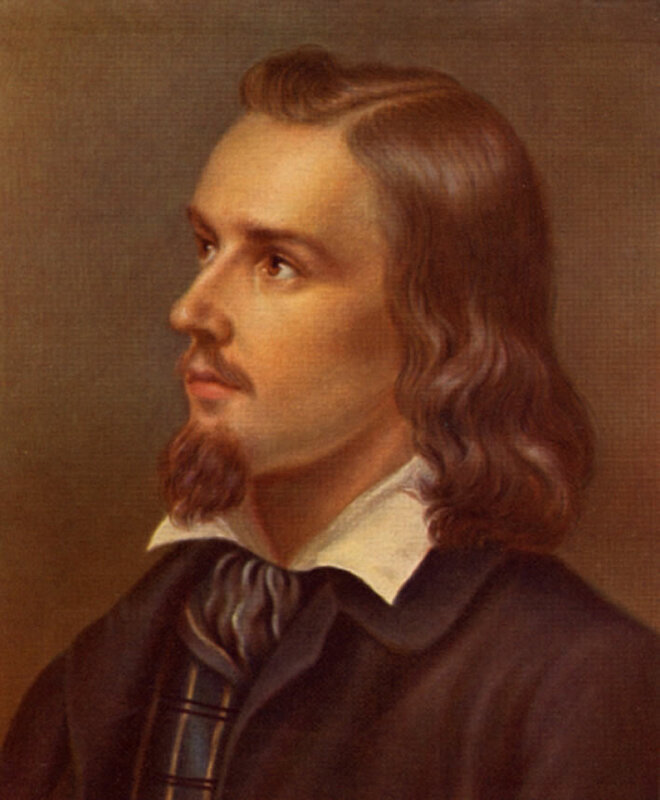 Wilhelm August Corrodi by Andreas Müller, probably dating from about 1850, during his art study period in Munich. Image: Source unknown. He has been largely forgotten outside the small circle of Swiss dialect speakers, a fact which will surprise no one. Perhaps, when our heads have cleared from the rigours of celebrating Burns Night on 25 January, we should introduce the celebration of Corrodi Night on his birthday, 27 February. Any excuse. 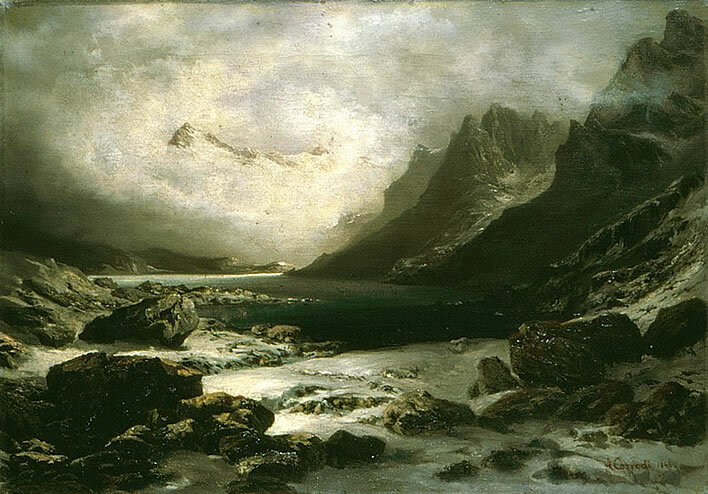 Wilhelm August Corrodi, Alpensee, 1864. Image currently hidden in the Kunst Museum Winterthur. Burns' writings were popular in German-speaking countries during the nineteenth century and there were numerous translations of the poems and the novels into both High German and various German dialects. Corrodi was and is the only person, however, to translate a selection of Burns' poems into a Swiss-German dialect. Robert Burns by John Beugo (1759-1841), 1787. Image: Scottish National Portrait Gallery. Inspired by this tale of sexual harassment, Schubert fans may recall Franz Grillparzer's effort to deal with the same subject matter that resulted in the Schubert masterpiece Ständchen – 'Zögernd leise'. Grillparzer's anticlimactic resolution of the late-night door knocking arose from the need to write a text that could be performed by a choir of girls and which could also pass the strict censorship of the time. 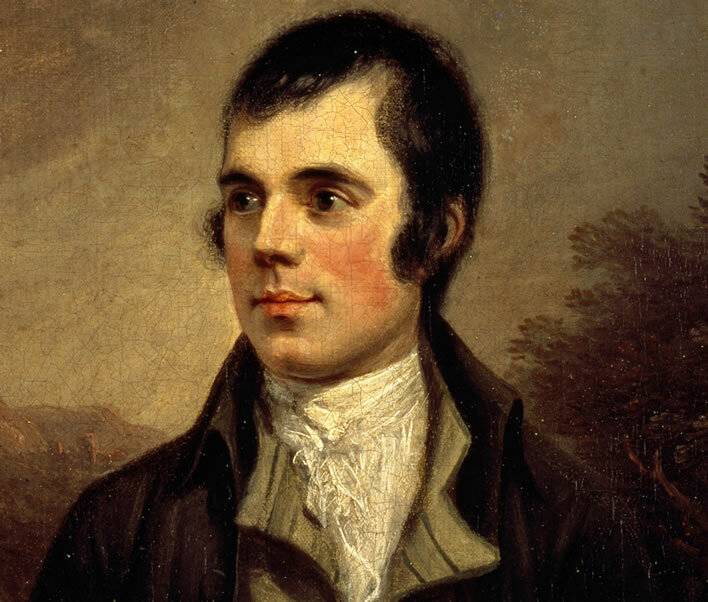 Robert Burns' songs would never have been printed in Vienna.